10-inch Newtonian reflector Magnifications: Sketch @ 57x FOV: Sketch 1º Transparency: Fair NELM: 5.0 Very low surface brightness, mostly round with a slight N-S elongation. The overall texture is very smooth with a brighter core, however, very subtle. A magnitude 12 star lies just to the north, possibly touching the galaxy halo. I was very surprised, despite the LSB, a fairly high magnification of 143x worked extremely well for a careful view of the central region. To the west at about 30 arc minutes is bright star, Mu Ursa Majoris. The 9.8 cataloged magnitude of this galaxy is very deceiving, as it appears much dimmer, due to the very low surface brightness. If the transparency is not good, this galaxy can be very difficult. Best observed from a dark site for sure. My first observation of this galaxy was in 1993. During this session the skies were much darker with a NELM of 5.8 magnitude. 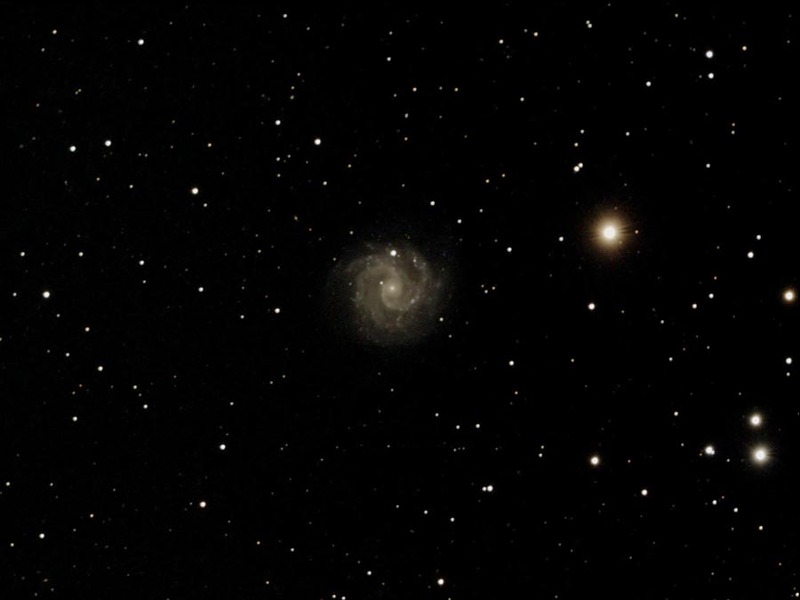 The galaxy was easy to locate, according to my notes, using the same 10-inch telescope. Light pollution has increased in my backyard over the past twenty-five years. 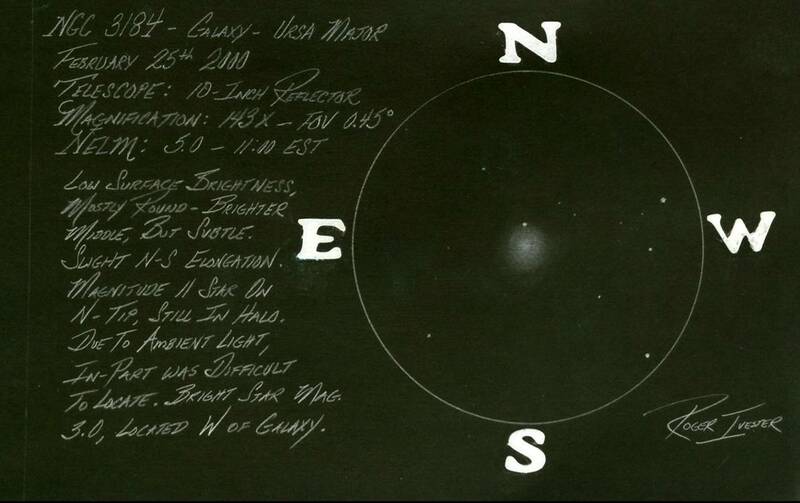 My notes from 1993: Low Surface brightness, mostly round shape with a brighter more concentrated central region. This entry was posted on May 16, 2015 at 2:52 am and is filed under Work File Only - Observer's Challenge Reports. You can subscribe via RSS 2.0 feed to this post's comments. Both comments and pings are currently closed.